Iain McKellar collecting seaweed for his shop. Iain McKellar, who ran an internet business selling seaweed in Rothesay, was discovered floating in the pool at Hotel Oasis Village in Corralejo in Fuerteventura shortly before 1am on Saturday. First aiders and emergency services spent 45 minutes frantically trying to revive him after he is believed to have suffered a heart attack, but he was pronounced dead at the scene. Mr McKellar had been on holiday with his wife Yvonne, 49, at the time of the incident. Civil Guard officers have launched an inquiry to piece together the events leading up to the tragedy but investigators do not believe there are any suspicious circumstances. A spokesman said: “An emergency response was immediately activated and private health workers at the hotel and emergency responders tried to revive the man. Mr McKellar’s mother taught him to collect seaweed – as she did herself during World War II – when it was used in camouflage netting. His seaweed business was thought to be the first of its kind in the UK when it opened. 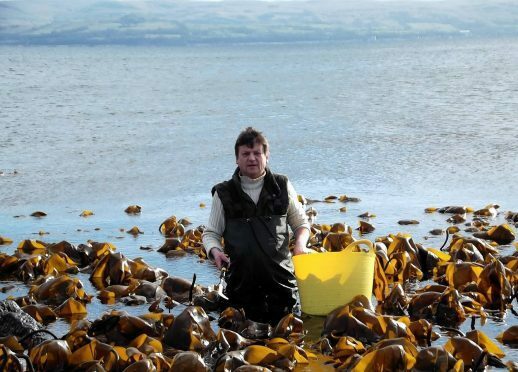 With the help of seaweed experts in America, the former truck driver built a business hand-picking different varieties from the shores of Bute. He started selling it online to customers across the world, including in Australia and South Africa, as well as Michelin star restaurants.